purchase All Workshops at a package price of $200. Disclosure: Financial – Ms. Staebell is employed by the University at Buffalo and receives a salary. Nonfinancial - She has no relevant nonfinancial disclosures. Disclosure: Financial – Ms. Palmer is employed by Liberty Post and receives a salary. Nonfinancial - She has no relevant nonfinancial disclosures. Disclosure: Financial – Ms. Ratajczak is employed by Clarence Central School District and receives a salary. Ms. Rusek is employed by Williamsville Central School District and receives a salary. Ms. Ryan is self-employed and provides services to School Districts on a contractual basis. Nonfinancial – They have no relevant nonfinancial disclosures. Disclosure: Financial – Ms. Kunda is employed by Buffalo Hearing & Speech Center and receives a salary. Nonfinancial – She has no relevant nonfinancial disclosures. Disclosure: Financial – Ms. Holowka is employed by Orchard Park Central School District and receives a salary. Ms. Gigante is employed by Baker Victory Services and receives a salary. Ms. López is employed by Erie 1 BOCES and receives a salary. Nonfinancial – They have no relevant nonfinancial disclosures. Disclosure: Financial – Ms. Roty and Ms. Barone are employed by Buffalo Hearing & Speech Center and receive a salary. Nonfinancial – They have no relevant nonfinancial disclosures. Disclosure: Financial – Ms. Deschner is employed by Buffalo Hearing & Speech Center and receives a salary. Nonfinancial - She has no relevant nonfinancial disclosures. Disclosure: : Ms. Pasek and Ms. Seewaldt are employed by Williamsville Central School District and receive a salary. Nonfinancial - They have no relevant nonfinancial disclosures. Registration is only accepted via the Buffalo Hearing & Speech Center website. We cannot accept registration by phone or email. Fees paid are non-refundable. 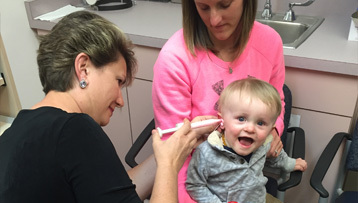 The CCC series was developed by Buffalo Hearing & Speech Center in 2001 to assist Western New York Speech-Language Pathologists and Audiologists in meeting the requirements of the New York State Continuing Competency Law and ASHA certification requirements. 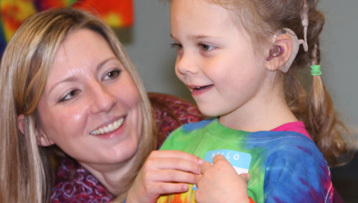 The workshop series was expanded in 2009 to include sessions for Special Educators, Occupational Therapists (Buffalo Hearing and Speech Center became an AOTA approved provider) offering AOTA CEUs, and Physical Therapists (New York State Approved). In 2016, the series was again expanded for Social Workers to assist with meeting new licensing requirements for Continuing Education enacted in 2015. Presentations emphasize hands-on, therapy-focused topics. This series is presented by practicing clinicians for clinicians - low on lecture and high on practical applications. Please join us for our CCC workshops that are being offered at a central location, during convenient after-work hours, and at a reasonable cost. Fall Workshops will be held on Wednesdays (except for Monday October 29th) from 4:45 to 6:45 p.m. at Buffalo Hearing & Speech Center, 50 E. North Street Buffalo, NY 14203. Parking is available in rear of building at no charge on a first come basis. Courses are offered for 0.2 ASHA CEUs (Intermediate level, Professional area). Buffalo Hearing & Speech Center is approved by the American Occupational Therapy Association to provide Continuing Education programs in Occupational Therapy. Designated workshops are offered for 0.2 CEUs. The assignment of AOTA CEUs does not imply endorsement of specific course content, products, or clinical procedures by AOTA. Buffalo Hearing & Speech Center is recognized by the New York State Education Department’s State Board for Occupational Therapy as an approved provider of Occupational Therapy and Occupational Therapy Assistant Continuing Education. Buffalo Hearing & Speech Center is recognized by the New York State Education Department’s State Board for Physical Therapy as an approved provider of Physical Therapy and Physical Therapy Assistant Continuing Education. Buffalo Hearing & Speech Center, SW CPE is recognized by the New York State Education Department’s State Board of Social Work as an approved provider of Continuing Education for licensed Social Workers #0264. Buffalo Hearing & Speech Center is approved by the New York State Education Department as a sponsor for Continuing Teacher and Leader Education. Course Completion Requirements: Sign in/ sign out and complete a learning assessment form.